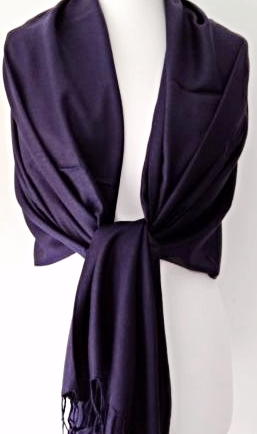 Purple pashmina / wrap / oversized plain scarf, beautiful and soft with tassel trim to the ends. Measurements : approx. 76 inch / 190 cm in length and 28 inch / 70 cm in width, the pashmina drapes and falls beautifully.